The Ace and Aro Advocacy Project – Advocating for asexual and aromantic spectrum people in DC, Maryland, Virginia, and beyond. The Ace and Aro Advocacy Project (TAAAP) is an organization dedicated to providing resources on asexuality and aromanticism to the public. TAAAP operates on a local level by working with other LGBTQ+ organizations in the DC Metro Area, as well as on the national level by working with other ace and aro advocates to further the national movement. TAAAP’s goals are to increase the visibility of ace and aro identities, to provide resources on asexuality and aromanticism to professionals (e.g. doctors, mental health professionals, educators), and to support ace and aro members of society. Please visit our projects page to see what we are currently doing to further these goals. 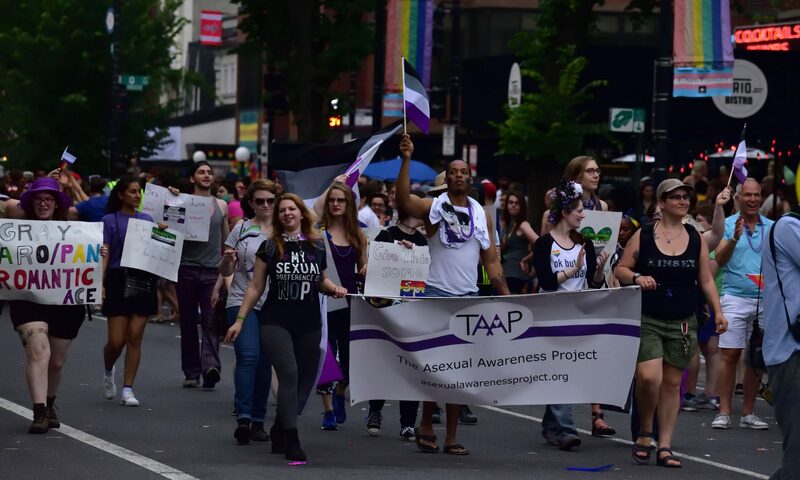 TAAAP is closely partnered with Asexuals of the Mid-Atlantic, a social Meetup.com group for asexual-spectrum people in DC, Maryland, and Virginia. This post is a reflection on the events leading up to the launch of the Carnival of Aros, the Carnival itself, and the discussions that have followed. Thank you to everyone who participated! We hope that this event is just the beginning of the conversation on this topic, so we encourage everyone to read through other’s posts and respond with your thoughts. The subject of how much aces should do to further aro advocacy is a frequently discussed topic in our communities at this moment in time. As an organization that frequently works on joint ace and aro advocacy projects, we would like to give our perspective on when these combined efforts are useful and feasible, and when they are not.